At Keith Kane Hairdressers we want to achieve a calm and stylish atmosphere for all our customers; a space to escape the stresses of everyday life and most importantly, relax. 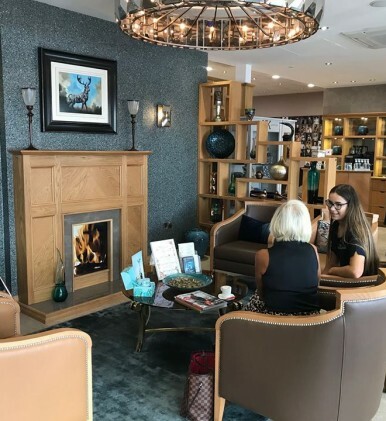 Our hair salon in Belfast is Italian inspired to give a feeling of luxury, whilst our barista bar and range of complimentary refreshments make you feel at home. Our hair stylists in Belfastgo to every length to ensure your comfort, with excellent customer service skills and attention to detail you can sit back and unwind, knowing you’re getting a professional experience. We now offer Remy hair extensions in Belfast; whether you’re preparing for an event, getting your regular cut or just want to feel pampered, our hairdressers in Belfast will guarantee you feel as comfortable as possible. Meet our beauticians and hair stylists in Belfast. This award-winning team is dedicated to achieving your perfect look, by tailoring our wide range of skills we can give you a bespoke hairdressing experience. Keith Kane – with 30 years’ experience in the hairdressing industry and numerous awards, Keith is well known for his skill. Our other Belfast hair stylists include Gillian, Aveen, and Mya who together have won the Schwarzkopf World Championships in Tokyo as well as many other notable competitions; trust in the professionals to give you your dream hair. Serena knows everything beauty. From nails to makeup, we can get you looking your best for any event, date, or just your usual look. Serena offers bridal makeup, brow and lashtint, makeup lessons and much more. Kate and Anne are our highly trained nurse aesthetic nurses that specialise in Botox and dermal fillers. Clients can receive a free consultation when booking – be sure to get in touch with our hair salon in Belfast. We’re located in Carryduff just outside of Belfast. Escape the city life give yourself some time to yourself. It’s easy to reach our hair salon in Belfast. Just a short drive from the center of Belfast, you can use our free car park located just outside the salon. If you’re travelling to us by public transport there are a number of bus services that run directly to the salon, if you require directions or have any enquiries please don’t hesitate to contact us, you can also find our address online. Expect only the best from our Keith Kane Hairdressers in Belfast. You deserve to be treated in one of the best modern hair salons by professional hair stylists in Belfast; for more information please don’t hesitate to get in touch by calling us on 028 9081 3622 today. alternatively, you can book an appointment online or email any queries to us at info@keithkane.co.uk for a prompt response from our hair salon in Belfast.